The paper I used was all scrap pieces of paper I've collected through the years of papercrafting that I had no idea what to do with. I just free hand cut out the flower. I did however use my silhouette machine to cut out the stamped letters. I finally got a chance to try out my pixscan mat. Click HERE to see what the pixscan is all about! Hard to see from a picture, but there is so much detail and texture on this painting... I LOVE it!!! Here is a step by step look at how the painting evolved! 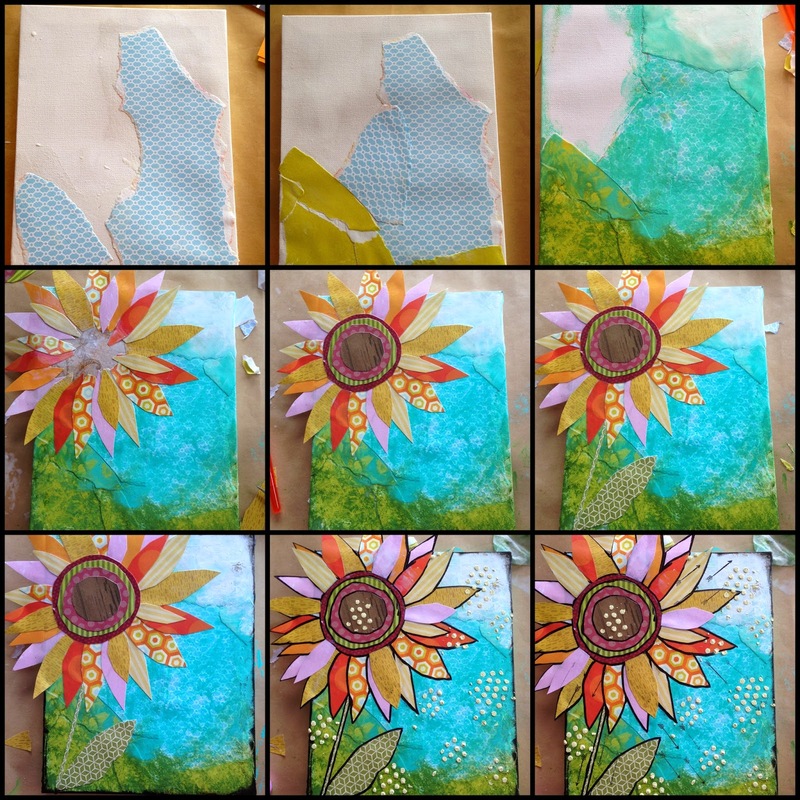 I hope this has inspired my fellow paper crafters (or anyone else intersted) to try out this type of painting... 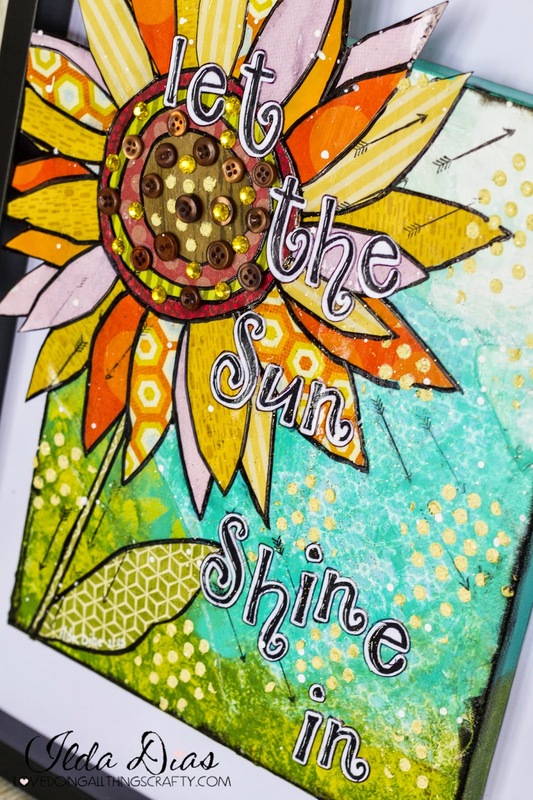 If you are a crafter, I'm sure you have tones of scrap paper you could use up! For those of you wanting to try this, I would recommend watching some You Tube videos and then just go for it! 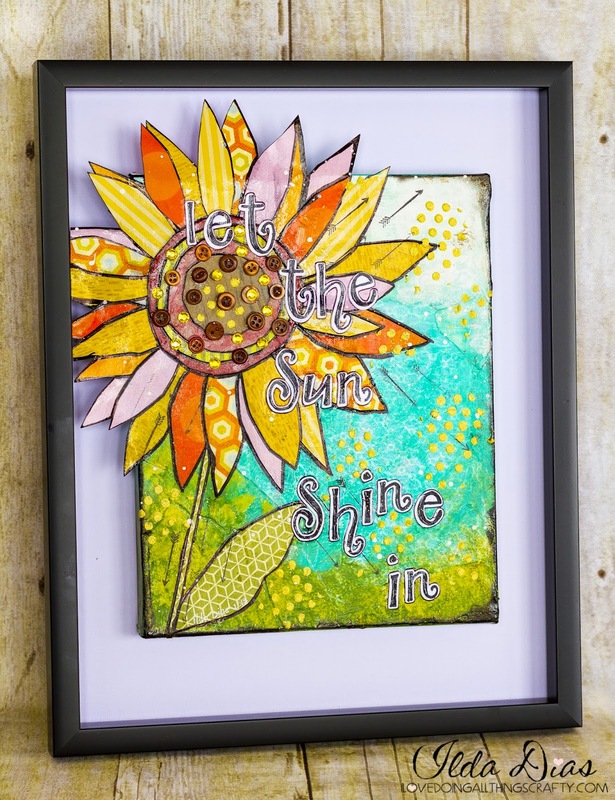 You'll be amazed at what a little paint, paper, modgepoge and creativity can make! 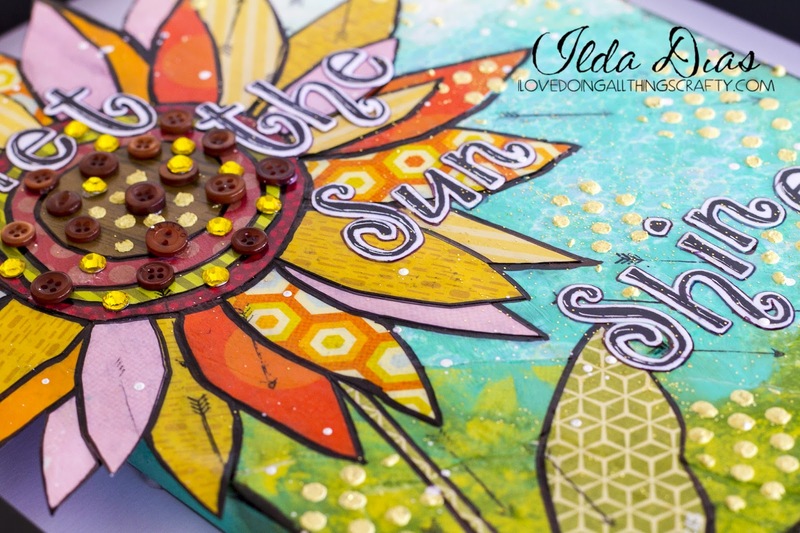 Gorgeous make Ilda, love it! that is absolutely gorgeous! LOVE seeing your process and love that saying. Pinning!!! Thanks Leslie! Your comments are so motivating :) Thanks for making my day that much brighter!